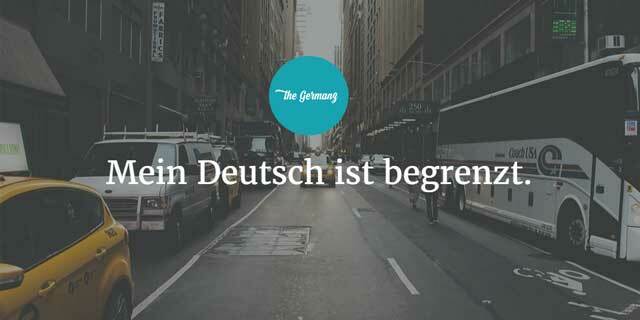 We all know that practising your language skills is crucial to speak German fluently. Germans know that too and love to practise their foreign language skills on foreigners. b) makes it easier to converse since the other person doesn’t seem to be that proficient in German yet. If Germans can sense their English is better than your German, they are very likely to switch to English. Say you move to Germany, maybe you already live there, and you really want to learn the language. You take every chance to speak German, you take courses, you learn German by yourself and now you want to practise it with all the Germans around you. You just want to speak German. In order to improve your speaking and listening skills, we are going to talk about what you should say to keep Germans speaking German with you. When someone asks you – in German – how your German studying is going, they are probably just making small talk. Maybe they know you have been studying, so they are just up for a chat. Remember what you are up to: You want to speak German. But what if I told you, there were responses that will make them switch to English straight away instead of speaking German to you? What if there were responses that are better than others once you’re asked this delicate question? 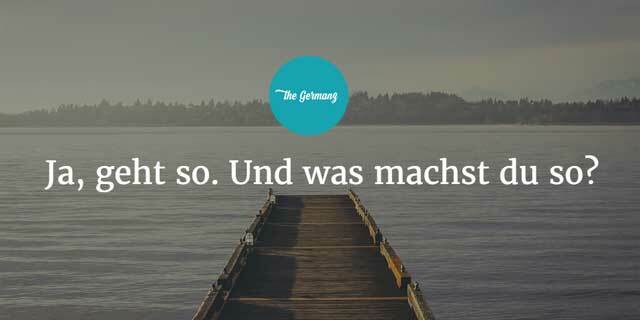 Learn here how to speak German to Germans. Hallo, wie geht’s mit dem Deutsch lernen? Ich spreche ein bisschen Deutsch. This is one of the sentences you learn at the start of almost any language. It is one of those sentences you use to let people know that you are not comfortable yet with the language they’re speaking to you. Imagine you are at a bar or on the street and someone comes up to you and speaks in German to you but you don’t understand. You could use this sentence to let people know “Ahh, I don’t really speak the language (yet) you are talking to me right now. Just to let you know, I don’t want to be rude, I just don’t understand what you just said, I’m sorry. I feel a bit uncomfortable right now but please don’t run away! Could we possibly, if you found it useful too and only if you can please switch to English please, thanks? When you say, Ich spreche ein bisschen Deutsch, people might think, he/she must not speak it at all even if it is obvious that your language skills are a lot better than that. But guess what they will do if they think you can’t speak German (yet). Yes, chances are, they will switch to English. This is not our goal. We want to speak German. Why not saying as it is? I have done my fair share of learning German, and this is how my German is. It is not perfect, maybe even far from being perfect, but I understand what you say when you speak more slowly, clearly and I can already talk about certain topics, I can answer questions about myself, my hobbies, what I do for a job, talk about my feelings, what I like and hate. There are certainly some limits but all good. Come on, I can’t wait to speak to you. I like this one here. You are up for a challenge. Good on you! The only thing is, people may not know what topics you feel comfortable talking about. They could be irritated whether they can keep going or whether it would be easier for you (and them) to switch to English. Imagine when you’re speaking to someone in English but this person’s language proficiency is far away from being a native speaker. Most of the English native speakers I know will politely switch to a better understandable English. They will slur down their speech, will use less slang and will speak more clearly. Germans are not used to doing it! We get fewer chances to speak to language learners and even though this may have changed since Germany attracts more immigrants, there’re still reasons why a lot of Germans make the switch. When Germans go overseas, they have to speak another language themselves, most of the time. I believe, correct me if I am wrong, but it is easier to get around and to be understood when speaking English since English is the number one foreign language to learn. Although German is the most widely natively spoken language in the European Union, getting through your holiday may still be less painful when speaking in English, not German. Unless your holiday is in Germany, Austria or Switzerland. A lot of the immigrants to Germany learn German quite quickly simply because they have to. Germans expect foreigners to be able to speak the language (eventually) when they live there (not at all when they don’t, by the way). Germans expect people who move to Germany to speak German as much as the French expect immigrants to speak French and as much as the Spanish expect immigrants to learn Spanish. I will give you another example. After attending high school in the south west of Germany (das Saarland), I moved to Munich to study. I became friends with other Germans from the Bavarian country side. I tried so hard but there was no way to understand their Bavarian dialect sometimes. I am a German native speaker but I was not able to grasps the meaning of some Bavarian expressions. After telling my friends about it, they would repeat what they said before but with the same words, just louder or a bit slower but still in their dialect that I just don’t speak. Why would they do that? My friends were just not aware that I don’t know all those words they use everyday. The longer I lived there, the more I got into the dialect. I loved the sound of it before I moved there but really started to admire it once I understood it better. I am still so impressed by my friend from Bulgaria whose native tongue is Bulgarian. She moved to Munich around the same time I did but after a short period of acclimatisation had no problems to understand the dialect at all whereas I was still struggling with it. Also, I am pretty sure when someone moves to Saarland, where I grew up, the same thing can happen, too. And, I confess I am guilty myself of doing all this too! What I am trying to say is that sometimes people are not aware how they can help language learners. But you can help by making Germans feel free to speak, without any limitations. This is my favourite response. There are lots of variations of it, so feel free to change it as you like. You want to make your language skills sound less of a problem. You don’t want to make it a problem. Yes, you are still learning German. You won’t be able to talk about anything and everything as detailed and colourful as you would be able to in your mother tongue but you guys will be fine. It will be a nice conversation. Come on my German friend, don’t worry about it too much. Let’s have a chat in German! 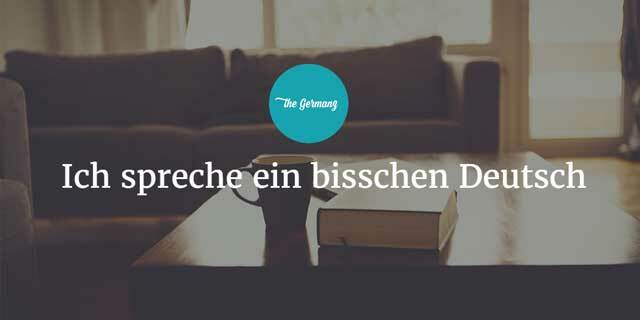 I’m working on a guide on helping with the speaking part of learning German (and any other languages). The guide will have tips and fun exercises to improve your speaking straight away. You won’t even need a native German to chat to. Do you have any tactics yourself to have the Germans speak German? We would love to hear about it in the comments. I am Brazilian and I have now completed two years o a German basic course and yet I am unable to start a conversation. hey leute ..i’ve been learning german almost for 6 month..i’m kinda able to speak with people having said that i can’t speak what i know .i feel fear when i’m trying to speak with german people.there are many german tourist in my country(Srilanka) i like to speak with them and i do but when i’m speaking i only can remember the basics words and sentences .i don’t know why.please if someone could understand what i’m going through please help me …i need to speak good german because i’m gonna join with Srilankan airline next year. Hi Sameera, just keep learning, the more you read and hear German, the more comfortable you get with the language. There’s one little trick that will help you immensely, simply speak out the words you learn. Not only say them in your head, but really say them, produce the sound and move your lips. Speaking to yourself in German will help as well. We’re working on a guide to get over exactly your problem. If you’re interested, please leave your email here and we’ll inform you when it’s ready: Yes, please email us. Hallo Eddie, Schön, dass du trotz der Enttäuschung mit deinem Kurs nicht aufgibst. Und ihr bekommt einen Jungen! Das ist toll! I’m happy you still got to enjoy the German language that you obviously speak very well! With the speaking section of the test, I’ve found that practising the most common questions helps a lot. Not learning them off by heart but trying to think of how you would answer them, and say it out loud. With ‘the’ speaking section, it’s good to know the hints for genders of course and getting feedback (maybe from your native German at home?) when practising for the speaking test. Also, no one will blame you if you correct yourself, native speakers do that too. Also remember, the examiner will want to help you, give them a chance and show them who you are. Good luck with everything and don’t forget to let us know how you went. Viel Glück! Ich drücke meine Daumen! So nice of you to respond, and my wife and I enjoyed your helpful tips. We shall see how I do on Saturday, and when I get the results in a month, I’ll be sure to let you know. It sounds like you all are doing great work. Keep it up, and have a great time! Thanks Eddie, glad you find it helpful. Enjoy your time in Germany, I’ll cross my fingers for you! I have a tutor but I feel he is not making me talk. He is the only one speaking during our one hour meeting. I am Spanish and English teacher and I make sure my students do the talking. I think my question would be the same as most people here, to be able to speak and converse with people and understand them, as someone above said before i have lots of information but whenever i try to speak i speak just the basic simple sentences, which really makes me frustrated sometimes. I’m currently doing my Masters here in Germany and i have 6 months until i finish, my current German level is B1. And as you know without German there is a little chance to find work after i’m done with my studies. The thing is my master program is entirely in English and all the people i know are international students, and i don’t know any Germans to practice even with. My question here do you have any pointers or tips that i can use? Also can you send me the guide that you mentioned in one of the questions above? Hi Reham, Thanks for your comment. I understand what you mean, being able to speak German will definitely help you with your job search. I’m going to email you a few quick tips but you can also leave your email address here, so you’ll get notified once the guide is ready. Thank you so much, and don’t forget to check your inbox! I am an engineer and work in Germany for the last 1 year.. I had German courses till the B2 level … but what I find out in me … it is the fear. I work for an international company … and slowly I started to convert everyone around to speak English. Funny .. but it is the way where I can proof myself and show them they have hired the right candidate for that job. I understand more than 90% of the German conversation around me… but my fear of making mistakes or not being up to the conversation makes me silent until they swap to english, then I am back. I try to listen to german radios, to read articles or even to translate some technical reports to get to learn the technical expressions. In general I am not feeling good … I feel I am missing so much fun out there and desperately need your help. Hallo Raymon, funny how it goes. I’m pretty amazed that you get them all to switch to English, which makes me believe that you could be as convincing in German too. Since you understand a lot of German already, I’m sure it won’t take you too long to convert yourself into a German speaking addict. If you want to be notified once my speaking guide is ready, please let me know here: If there’s anything else I can help you with, just email me to [email protected] Thank you for your comment! 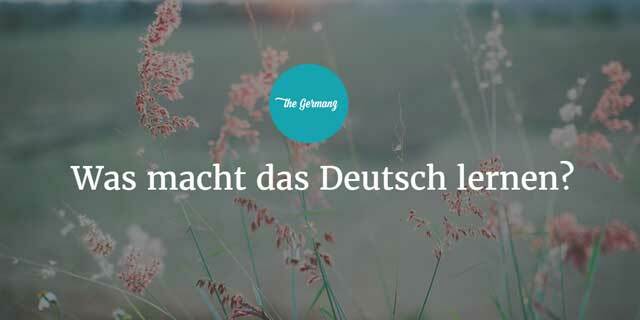 I have been learning german for around 5 years once a week and was once almost fluent. For the last two-ish years, I feel as if I’ve pretty much forgotten how to speak German at all! Could you please point me in the right direction and help me regain my semi-ish fluency? Hallo Anna, that’s a pity! But I have good news for you, there’s something you can to to regain your fluency. For example, you could just start reading in German again, a short text, nothing too difficult, work out what it all means, look up vocabulary and tell yourself about it (in German of course). Assimil is also an awesome book series for self learners on any language you can think of. The book is a bit on the pricy side, but well worth it. While others swear by it for learning a foreign language from scratch, I really enjoyed refreshing my memory of my long lost French. If you would prefer some guidance by a German native, just email me at [email protected]. I’d love to hear from you. Cool! It helped a lot. also one question. How do you say would you like to join? Thank you Elizabeth, glad you find it helpful. Your sentence would be “Willst du mitmachen?” (informal) and “Wollen Sie mitmachen” (formal). Danke schön! Vielen Dank for your great article! It made me understand that I’m not alone. I started feeling totally dumb lately, because I’ve been learning German for 6 years (6 years!! man..), lived and worked in Switzerland for one year and… my conversation basically doesn’t exist. I can understand everything, even the complicated Swiss German is okay, but my brain freezes anytime someone starts talking to me. And even if I try to talk, I feel more dumb, because I can’t express myself so I only use the basic sentences – like a 5 y.o. kid, which is not ideal for business. I know I have to overcome the fear, the blockade in my head and just use everything I already know. I registered for your guide and until it’s ready I will be very thankful for any tips you might share with me/us! 🙂 Thank you very much for your great work! Hi Martina, yeah the blockade to speak, it haunts us language learners like the writer’s block the unsuspecting author! What I have seen help is slowly build up the tension. Maybe practise speaking to yourself at first, then to others that you feel comfortable with about topics you feel comfortable with. At some point you’ve got to venture out of course but it will be easier if you feel prepared. Thank you for telling us your story, I’m sure it will help others that struggle with the same. Also a big thank for registering for the speaking guide, I’ve been working on it! To get Germans to speak German to me, I ‘correct myself’ once I start speaking English, say with a colleague or a person I have met around town! It’ll be something like, we’re both speaking English, and I say something in English, then out loud I remind myself, “Ach ich muss mein Deutsch praktischen!” und dann I repeat my last sentence, auf Deutsch, and try to carry on from there. Whenever I say that, the person I’m talking to typically agrees and jokes that from now on we’re only allowed to speak German. Hallo Anja Mueller, i live in Germany at the moment and i have been attending a German Course for four months now. My pronunciation is still terrible. Any useful tipp will be appreciated. Hallo Isaac, Improving your pronunciation can be done through what’s called ‘mirroring’. You simply want to match the tone, the speed and the intonation of a native speaker. You could start with the news on your favourite German channel, maybe have a look at the ARD mediathek, put on your headphones, and play short sequences over and over again. While you’re listening, try to say it the way they say it, match their tone and way of speaking. You’ll notice the differences (first step!) and you’ll also notice how you have to move your mouth to make these sounds as well. Do this as often as possible, even daily and you’ll see some improvements very soon. For a more collequial take on it, try a German soap opera like ‘Jojo im Glück‘. It’s made for learners and actually not too bad 😀 Good luck with everything and don’t forget to come back here and tell us how you went. Thanks for commenting and bis bald! Ich komme aus dem Libanon und spreche Arabisch, Franzosich, und Englisch. Ich lerne Deutsch seit 10 Monaten, und bin ich jetz bei A 2-2. Ich arbeite der ganzen Tag, dann ich kann nur Abend kurse zweimal die Woche nemmen. Ich finde Deutsch total toll, aber diese Sprache ist sehr schwierig and kompliziert… Es gibt immer Änderungen GOTT. Also, mein problem ist: Ich kann (im Gegensatz zu den meisten Menschen) mehr sprechen als ich verstehe kann. Ich wiederhole auf Englisch: I can speak much more than I can understand. I have a problem understanding what many people say, or I understand an opposite meaning. What can I do? Can you help me? I would try to write this in German, but my phone is not setup for German. It tries to rewrite everything as if it was English. I have 60 years of trying to learn German. I still speak it and read and write in it. I don’t do it perfectly but I certainly am understood. Most German people are very happy to talk with me when I encounter them because I won’t give up. They sometimes remark on a word or words I use and then ask me if I was ever in such and such a place. Most times I was there and they wanted to tell me that zum Beispiel it was where I learned certain words because certain places are noted for their accents. A lot can be learned from these people. They listen. Hi mike thanks for a wonderful article and I hope you get to see this. I’ve been studying German for the 2 months and I find it hard starting a conversation . My friends here in Austria speak only English and this hasn’t helped me in any way. Pls help how do I go about this. Thanks.